Laravel Framework development is an opensource framework of PHP which follows Model-View-Control model. We provides architecture, components and tools for developers to build complex web applications faster. 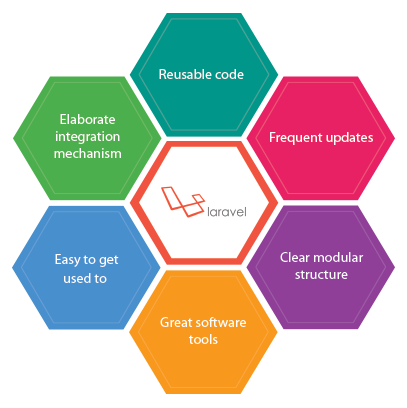 Developing with Laravel framework allows to attain code reliability and helps in maintenance greatly. It allows high customization ranging from the structure of directories to foreign libraries. Experienced Laravel Framework developers have a potential to maintain applications over time with no surprises. We specialize in laravel development and provide high end solution as per your requirment.Our developers have the dedication and the talent to ensure the finest outcomes for our clients. We provide strict MVC Structure, Rapid application development, ORM Support and many more under our laravel expertise.